When an American flag is no longer fit for display it must not be thrown away. Instead there is a special flag disposal ceremony where the flag is burned in accordance with flag disposal protocol. If you have any size American or POW/MIA flag to be retired, please bring it to the Flag Drop Box at the entrance to the Lititz Springs Veterans of Foreign Wars Post at 14 North Spruce St. in Lititz. 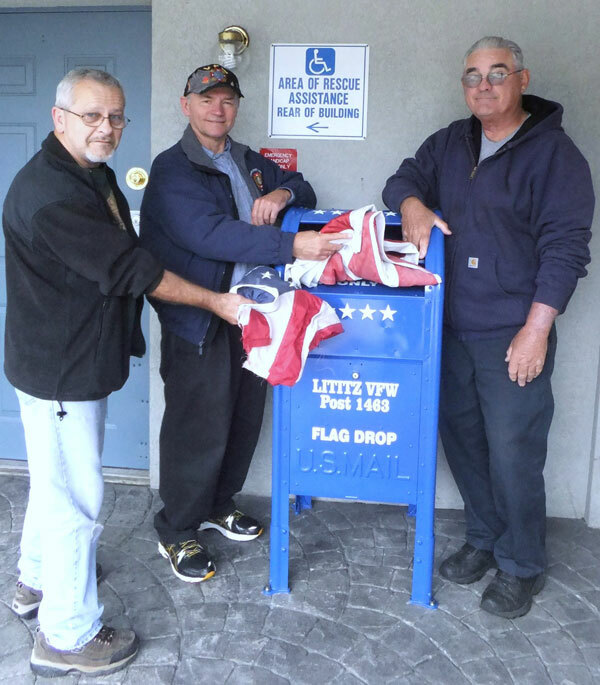 The Lititz Springs VFW works with the Boy Scouts of America and the Marine Corps League to ensure that retired flags are disposed of properly.